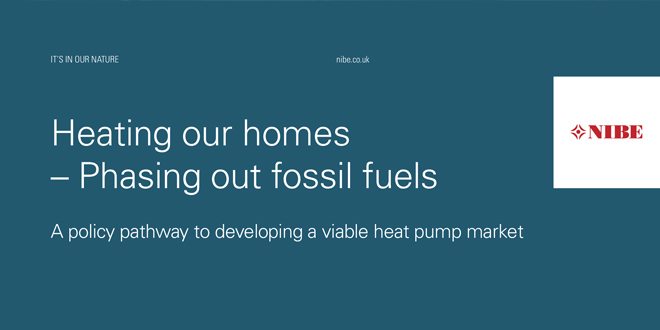 NIBE Energy Systems has developed a policy pathway paper for phasing out high carbon fossil fuels in response to the Government’s 2017 Clean Growth Strategy. DEFRA’s Clean Air Strategy 2019 recognises how technology can support multiple aspects of clean growth. It recommends reducing demand through improved energy efficiency and opting for technologies that mitigate climate change and improve air quality at the same time.